Scotland’s reputation as a hillwalking destination spreads far and wide. From the Borders to Sutherland, from west coast to east, there are many spectacular routes for all ages and abilities. We asked EmbraceScotland followers on Facebook and Twitter for favourite hill walks, here are ten of the best. At 874m (2,687ft), Goat Fell misses out on being a Munro* by a mere 5 metres. It is the highest point on the Isle of Arran. There are a number of routes up the hill, from leisurely to more challenging, but the most popular and straightforward are either from the village of Corrie or from Brodick Castle. 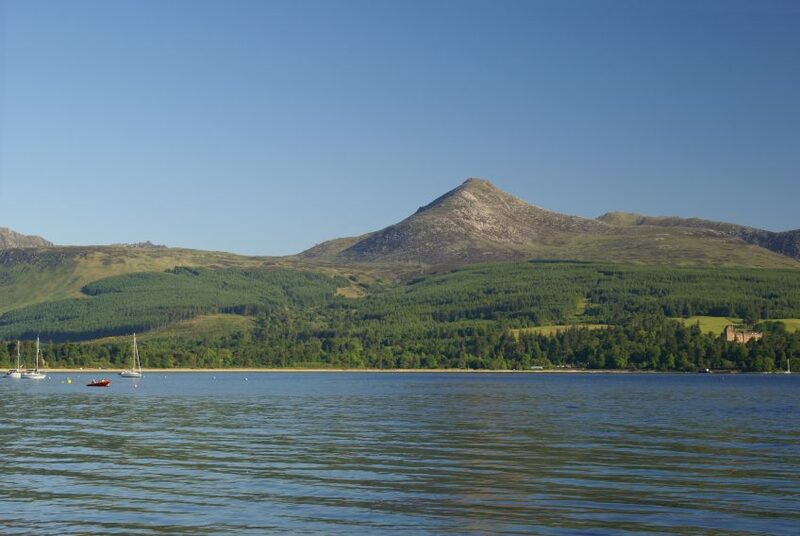 The Brodick Castle route in particular, is suitable for a family hike. From the summit, you get great views over the island and down the Ayrshire coast and Clyde estuary and on a clear day you can even see Ireland! 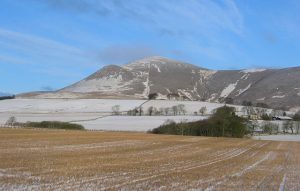 Just south of the market town of Lanark, Tinto is another great family walk offering views across the Clyde Valley and sometimes right up to The Trossachs and down to the Scotland/England border. You’ll know what you are looking across at from the view indicator at the summit. At 486 metres (1,594ft), it’s a pretty straightforward walk that should take between two and two and a half hours (allow longer if you are with young children). 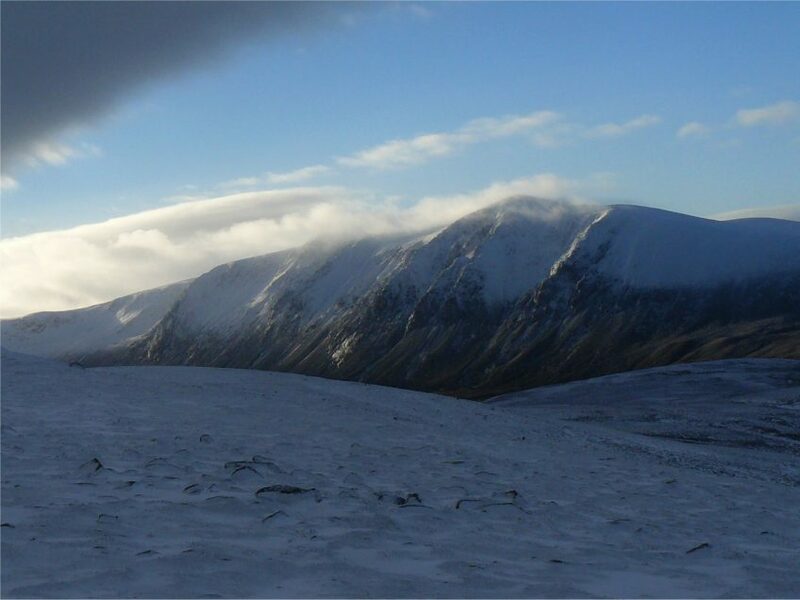 Sgòr Gaotih, meaning ‘Peak of the Wind’, is one of the Munros* of the Cairngorm range. It stands at a lofty 1,118 m (3,668 ft), yet is considered to be a relatively short hill walk (at 6-7 hours!) leaving from Glen Feshie. Despite being relatively short, it is one of the harder hill walks but the views along the way and from the summit are well worth it. Assuming the weather is kind to you and clear, reasonably early into the walk you’ll experience tremendous views over to Badenoch and the Monadhliath. There are forest tracks and well-constructed paths for the first ¾ of the walk, with the final ascent direct to a large flat plateau. It is a very popular walk with those that have done it, but it is not one for the faint-hearted! 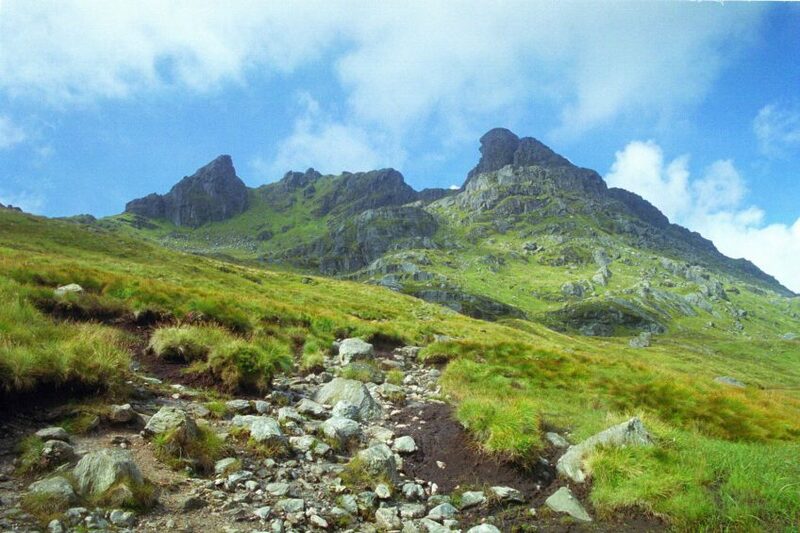 Otherwise known as Ben Arthur, The Cobbler is arguably the most widely known of the Corbetts*. Part of its appeal is its accessibility, just under an hour from Glasgow, across Loch Long from the village of Arrochar, Argyll. The climb itself takes between 4 and 6 hours on clear paths, but be warned, there are some steep rocky sections! 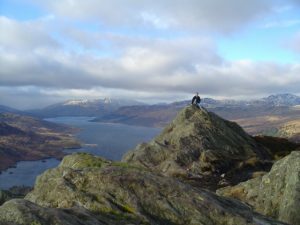 Once at the top, there is a bit of a rock climb to reach the true summit, but from the summit there are views across The Lomond and Trossachs National Park to neighbouring Ben Narnain, down Loch Long and across to Stirlingshire and the Trossachs. The pay & display car park at the bottom of the hill can get very busy on good days with those keen to experience the Arrochar Alps, so it is advisable to get there early. At 340m (1,115ft), Ben A’an is often considered by seasoned walkers as a ‘bit of a stroll’. However, despite its diminished stature, from the top, Ben A’an, at the heart of The Trossachs, offers views as breathtaking as many of its more imposing associates, down Loch Katrine and across to Ben Lomond. It is a popular walk for families, including those with young children. The route leaves from the dedicated car park, close to the loch-side of Loch Achray on the A821 and should take between two and four hours. Suilven may only be 731m (2,938ft) high, but don’t let that fool you. This is a serious mountain. This is one of the most distinctive hills in the country, rising sharply from almost sea level, solitary and remote. You should allow up to nine hours for this walk and be prepared for some steep ascents, gully climbing and some scrambling, with a long approach walk (approximately 2 hours). It is a tricky walk, but the views over Assynt are intense. 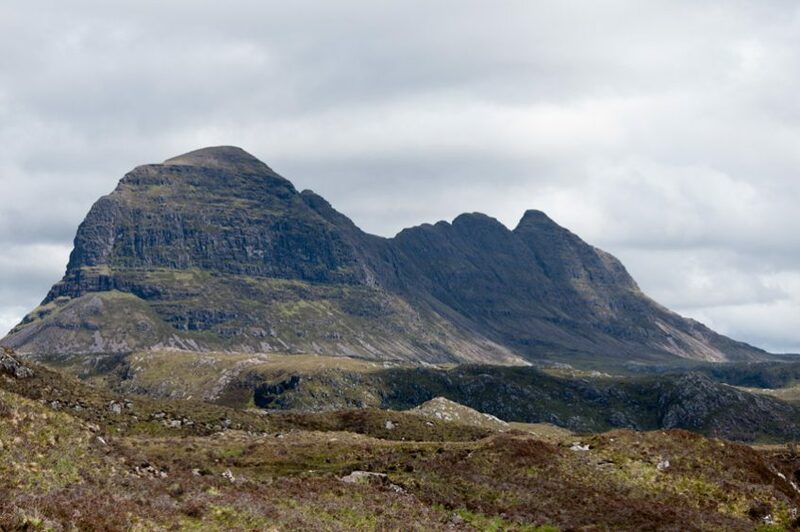 Such is the glory of this hill that Norman McCaig wrote a poem about it ‘Climbing Suilven’. If you need further convincing, why not take a look at this incredible piece of film? 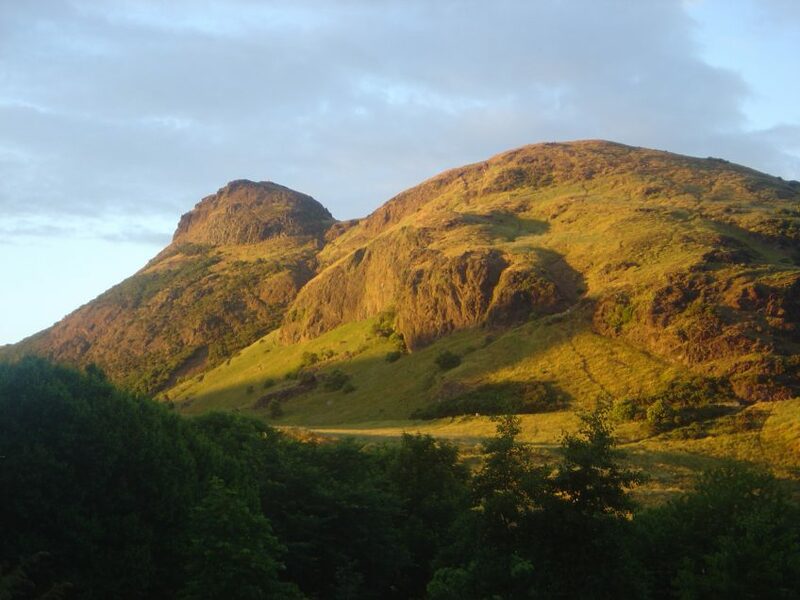 The smallest hill to appear in this list, Arthur’s Seat is unique in that it is in the middle of The City of Edinburgh, yet still able to be considered a proper hill walk. There is a clear path from Holyrood Park, that takes you up past Salisbury Crags, to the short but steep climb to the summit. This is a great walk for all the family and clearly you’re not far from refreshments and rewards once you get back down! This ridge walk is considered a tough one, taking in two Munros, Meall Dearg and Sgorr nam Fiannaidh and a Graham*, the Pap of Glencoe. Not one for the faint-hearted, this is believed to be the narrowest ridge on British mainland, reaching an altitude of 1100m (3,609ft) with rocky chimneys, scrambling sections and some sloping, slabby sections to descend. That said, the rewards are plentiful, with the mental and physical satisfaction of completing such a walk being equaled by the visual bonus of the dramatic terrain and views across Glencoe. 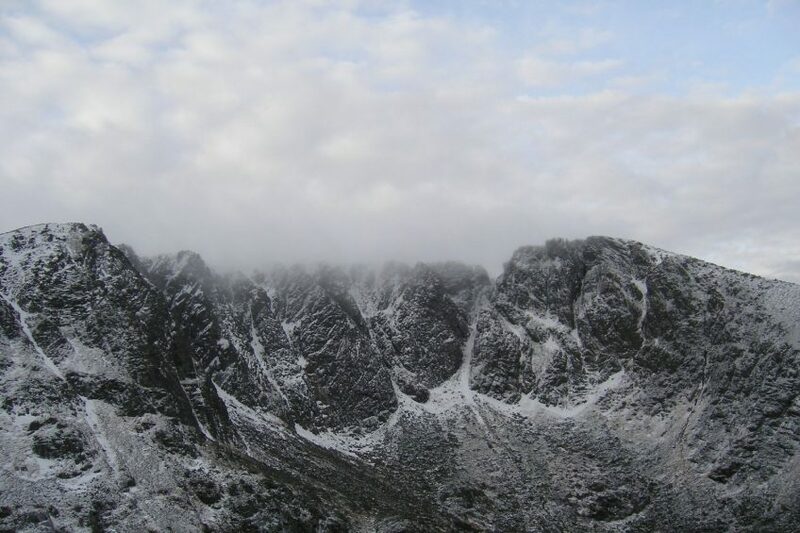 Lochnagar is considered the finest of the Cairngorms and one of the most celebrated Munros*. It’s a day’s walk (between six and seven hours), starting from the car park at the delicately titled, Spittal of Glen Muick, with clear paths and trails for most of the route, with one more technical boulder section. As much as the views around, the views of the hill itself are spectacular, especially as the path opens out to reveal Lochnagar itself, a craggy, semi-circle of stanchions around the lochan. 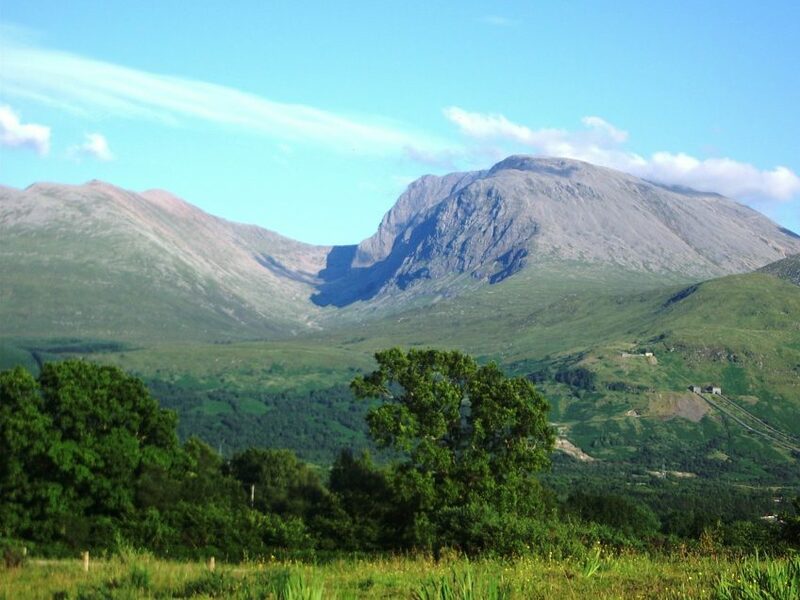 Scotland’s highest mountain, the iconic Ben Nevis, overshadows all the other Munros* at a height of 1352m (4,436ft). 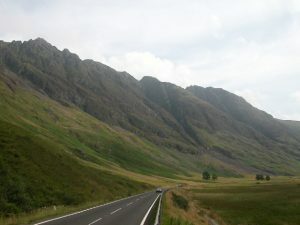 For experienced climbers there is an alternative route round the ‘back’ of the mountain, with lots of scrambling and challenging ridge walking, however most opt for the ‘tourist route’ (now rebranded as The Mountain Track), a steep path from the visitor centre in Glen Nevis right to the summit. Popular with seasoned walkers and novices alike, it is a straightforward walk, though as you’d expect from the UK’s highest peak, it can be physically demanding. Also popular with hill runners and mountain bikers, Ben Nevis can be very busy in good weather, but it is worth the effort to know that you are standing at the highest point in the country, with views around most of the Highlands. *A Munro is any Scottish mountain over 910 m (3,000 ft); Corbett applies to Scottish mountains between 762 metres and 914.4 metres (2,500 – 3,000 ft). Good article, but you need to correct a few typos/conversions on the heights, starting with Goatfell.